We arrived late on Sunday afternoon after a long journey made even longer and more tedious by crap roadworks on the A7. Fortunately there was still time for our friend Tom and I to take a short walk into the Altstadt. 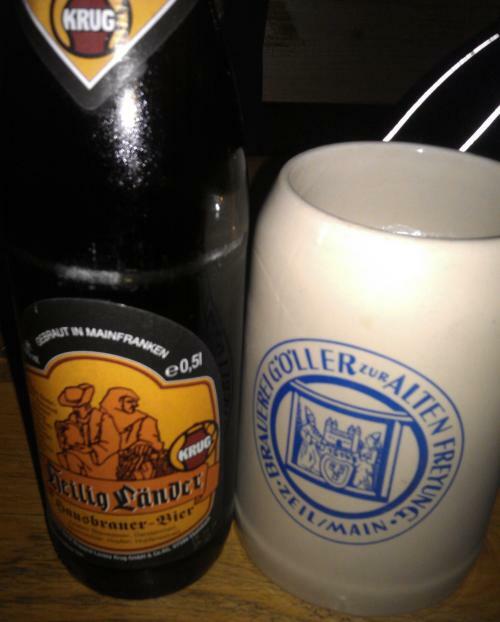 Starting at Schlenkerla with a Märzen might have been clichéd, but it worked nicely. 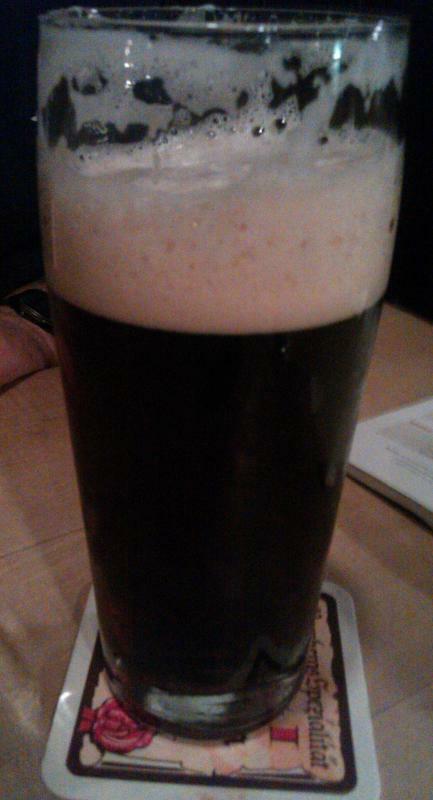 The Rauch Weizen was pretty good too. Walking back though, there were a couple of things we noticed. One was that even in Bamberg, that legendary city of beer, Pils has broken in big-time. Yes, the famous old brewpubs still do their famous Rauchbiers and Kellerbiers, but in the other bars the glasses of golden fizz were all around. The second is how many former beerhouses have been turned into ethnic (Italian/Chinese/Mongolian/etc) restaurants. They may still offer local beer, perhaps due to long term supply contracts, but who wants to drink good beer with food smells around? Was a more relaxed day in town, shopping for all the stuff we'd forgotten to pack, like hats for me and the boy... It was sunny, the Grüner Markt was full of strawberries and cherries, the ice-cafés were open, and the old Rathaus looked lovely from just over the bridge, where we sat drinking Alt-Bamberg Zwickl. Wandering around some more, we found Heska, a bar Tom that had seen before but it had been closed. It's been open again for nine months, apparently, and is a quite chic'ly furnished local with Weismainer beers on tap. Nice. *We also discovered that our lodgings do not after all have Wi-Fi. Also, as far as I can tell there is no public Wi-Fi in town, free or paid-for. What is this, the Middle Ages? It means precious few blog updates, anyhow, as all I have is a laggy 50kbit/s data connection via my phone. Sigh.